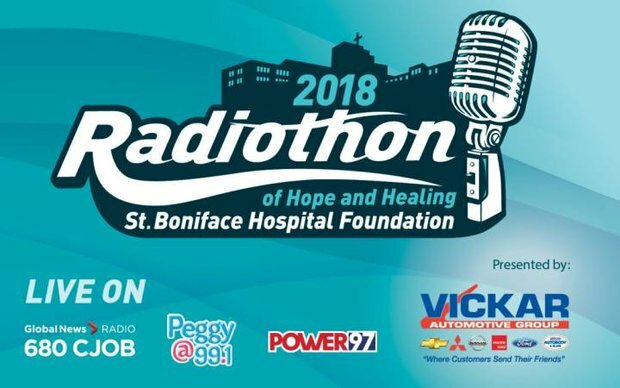 The Vickar Automotive Group is a lead sponsor for St. Boniface Hospital Foundation Radiothon of Hope and Healing scheduled for this Friday (November 16). The radiothon will be being broadcast - from 9:00-6:00 - on CJOB, Peggy 99.1 and Power 97 with more than 40 members of the Vickar Auto Group team manning the phones and helping out in other ways as well. Funds raised today are being earmarked for patient care, specialized equipment, and world-class research at St. Boniface Hospital. Readers are encouraged to drop in and watch the broadcast in person at the St. Boniface Hospital’s Everett Atrium where you can also buy 50/50 tickets and make a contribution in person. You can also donate by phoning 204 237-7647 or going online at info@stbhf.org. Or, if you happen to be shopping at a Sobeys, Safeway or IGA store today, you can contribute there as well. For every donation of $10 or more the stores will send a flower to a patient in the hospital.